Here’s my top 5 favourite startup podcasts. Inspiration guaranteed! What is it? 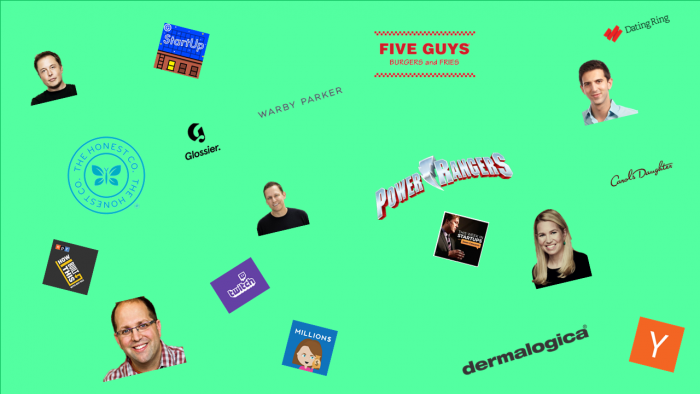 A podcast in which founders Alex and Matt start off talking about founding Gimlet Media Startup (Season 1), and then turn to other companies to follow them through their highs and lows. Target audience: Anyone wanting to know what it’s like to start a company. The entire first season is worth listening to, but the funniest episodes are Episode 1 How not to pitch a billionaire and Episode 5 How to name your company. Season 2 on Dating Ring, or ‘ the uber of dating’ . 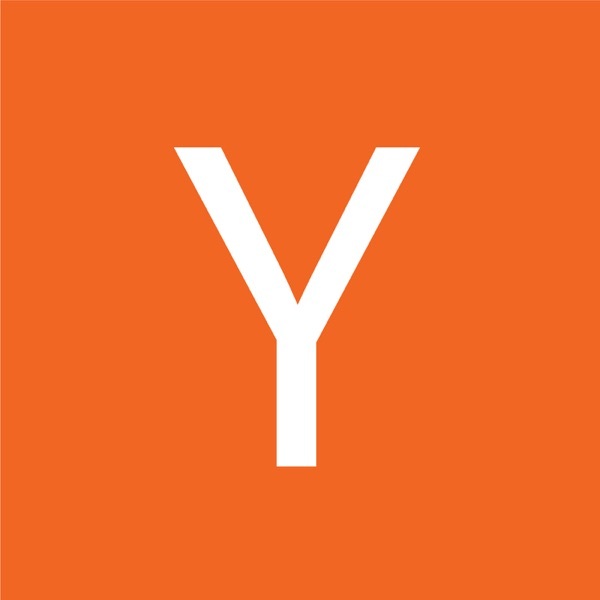 Experience the founders’ journey going through Y Combinator and everything that follows. Whereas Alex and Matt’s story on how they started Gimlet Media is rather positive, what Lauren and Emma go through seems to be a journey with some really low points. I recommend listening to the entire season. It’s intense! Season 2 episode 10 is full of startup wisdom, as it looks back on Season 2 with Lauren and Emma. Two favourite quotes: “I’m not starting a company without doing a looooot of surveys first. You think people want something and they’re like: that sounds like a great idea I’d love that. But then once you make them pay for it, it’s so different. Look at the competitors, look at why this doesn’t exist, really think about why this isn’t already there. Because there’s a reason.” (18’02). And: “If we all had perfect information, nobody would start anything. You would just not leave the house“. To hear about how Dating Ring is doing now, years later, listen to Season 5 Episode 7 Life after Startup. Also highly recommended. Season 3 episode 1 and 2 on Justin.tv turning into Twitch. A great startup story of Justin Kan and Emmett Shear starting out with a video streaming company that nobody seemed to care about (Justin was walking around with a camera on his head 24/7), to Twitch, a video platform for gaming. Hearing how they reached rock bottom and how they then pivoted is highly inspiring! Interesting to know: these guys participated in the first batch of YC with an online calendar idea, but were forced to change ideas after Google launched Google Calendar. That’s when they came up with Justin.tv. Season 3 episode 6 Bento. An on-demand food delivery service that’s run by a founder who has no experience in the food industry yet is able to raise millions from angel investors. Will they succeed? Listen to how Bento is doing a couple of years later on Season 5 episode 7 Life after Startup. Also worth listening to: Season 3 episode 4 Grooveshark. Starting from episode 4. An intriguing season that tells the story of Dov Charney, how he built American Apparel to a multi-million dollar business and eventually got fired from his own company. Further, you’ll hear some behind the scenes stories on what it’s like to work with Dov. Recommended! Also worth listening to: Season 5 Episode 2 Friendster. What is it? 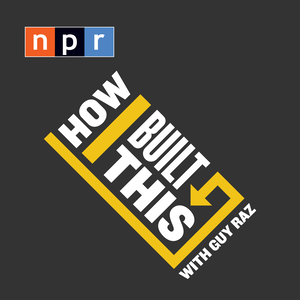 The name of this podcast says it all: host Guy Raz interviews famous and less well-known but still highly inspirational founders about their early days, and how they grew their business into what it is now. Target audience: HIBT is for anyone who wants to hear some of the most amazing startup stories. Basically all the reasons mentioned under #1, but also: you want to hear how determined people sound like. Biggest insight: Don’t skip the episodes of which you don’t know the founder or the startup. The stories of unknown founders and their startups are as interesting as those of famous founders! The highlights below are proof. Spanx: The story of founder Sara Blakely, who became a self-made billionaire by creating body shaping and seamless underwear. Warby Parker: The guys from Warby kept losing their glasses and couldn’t afford to pay 700 dollars for new ones, so they decided to cut the middlemen and offer glasses online for 95 dollars. Minutes after launching their website, the orders came pouring in. Warby Parker is now worth over a billion dollars. Power Rangers: How American-Israelian Haim Saban turned his 600,000 dollar debt into a 1,5 billion dollar profit by selling his children’s oriented cable channel Fox Family Worldwide Inc to Walt Disney. Favourite quote: “ I wasn’t going to walk away with half a billion dollars, there was not a shot in hell I was going to do that ”. Carol’s Daughter: Lisa Price started selling her homemade moisturizer at local markets and spent only 100 dollars on her first sales event. Twenty-one years later she sold her company to L’Oreal. Five Guys: Hear the story of Jerry Murrell, a dad who took his children’s tuition money to start a burger bar. His secret sauce: he let the kids pick the ingredients. The logic behind this was that if the kids picked stuff they liked, Five Guys’ customers would like the burgers too. What is it? It’s practically How I Built This, but focused on female entrepreneurs. Audience: Anyone interested in startup stories, with a special focus on female founders. Skin is In: Emily Weiss, founder of IntoTheGloss and Glossier, talks about how she started IntoTheGloss while working at Vogue, and launched Glossier from the thousands of comments she received on ITG. Remarkable: she had no background in beauty whatsoever. Favorite episode. Good Hair Day: Alli Web borrowed 250,000 dollars from her brother to open the first DryBar, a place where women can get their perfect “blowouts”. She now owns 66 locations all over the US. Favourite quote: “It’s going to work wherever there’s women who have hair”. Movie Start and Mogul: Hear how Jessica Alba started her billion dollar The Honest Company focused on natural products. Target audience: This podcast is for anyone thinking of starting a business or in the process of doing so. 3. You want to hear the startup stories of some of the greatest entrepreneurs: Sam Altman, Paul Graham, Adora Cheung, Brian Chesky, Peter Thiel and Jessica Livingston and many more. Season 1 Episode 4 Building Product, Talking to Users, and Growing– Adora Cheung from Homejoy talks about the different ideas she’s had, why they didn’t work out and what has made Homejoy so successful. Turns out she’s been trying out new ideas for 3 years before coming up with Homejoy. Highly inspiring, even though a couple of years later Homejoy failed . Season 2 How to Build the Future episode #4 with Elon Musk. Answering the question: where do you get the internal strength to make bold decisions? Elon says “I feel fear quite strongly. But there are times when something is important enough you do it in spite of fear. What can be helpful is fatalism. If you accept the probabilities (of failure), then that diminishes fear” [around 8’06]. Season 2 How to Build the Future episode # 7 with Jessica Livingston. Favourite quote “The most important characteristic of a successful founder is determination”. Less inspiring but very practical and highly relevant: Season 1 lecture 18 on Legal . Oh how I wish I would have listened to this episode before getting into that whole legal mess. Season 1 lecture 19 How to talk to investors in which Tyler Bosmeny from YC Partners explains how to go about dealing with investors when you’re looking for money. Season 1 Lecture 10 on Culture where Airbnb founder Brian Chesky shares how they originally came up with the idea and how they were ‘cereal’ entrepreneurs until investors realized became interested. What is it? 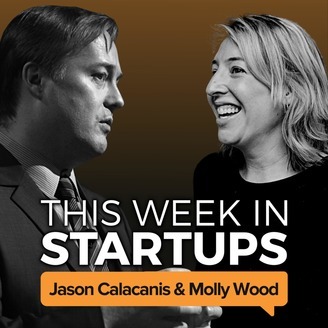 TWiST is a show hosted by Jason Calacanis (www.Calacanis.com ) on the world of entrepreneurship. New show twice a week. Cool if you’re into startups and don’t want to miss out on what’s happening right now in the tech world. 1. You want to stay up to date on what’s happening in Silicon Valley. With Jason, you’ll never miss a thing. Funniest episode: the one where Jason interviews Periscope co-founder Kayvon Beykpour aka Kayvz. Most inspiring episode: Jason interviewing Chris Redlitz, Partner at Transmedia Capital and founder of The Last Mile, a program that teaches prisoners tech and entrepreneurial skills. Chris brings along Kenyatta Leal, a former prisoner who was serving a life sentence and now works at Rocketspace as campus manager and tells about his life lessons. Second most inspiring episode: Jared Fliesler of Matrix Partners, on going from problem to product. One of the most fundamental things he says is how important it is to test the status quo. What do people do today? How bad is it? Is it that bad? Favourite quote: “You’ve got one life, make sure you work on something that you love and believe in”. Most insightful episode: Josh Elman, partner at Greylock Partners , talks about growth. He mentions 4 key aspects of a business: 1. Problem: what do people want? 2. Inception: How do we make them aware? 3. Adoption: how can we get them going? 4. Retention: how do we retain these users? Thank you, A lot of knowledge. Amazing all kinds of useful data.